Spondylolysis and spondylolisthesis are both very common spinal disorders – to the tune of more than 3 million cases each year. While these disorders can affect people of all ages, children and adolescents are most susceptible due to their developing spines. Spondylolysis occurs when there’s a crack or stress fracture in a vertebra. Nebraska Spine Hospital has been named to the “100 Hospitals With Great Neurosurgery and Spine Programs” list by Becker’s Hospital Review. 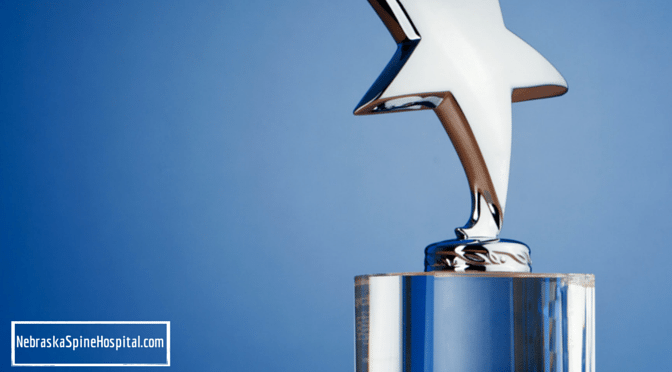 Nebraska Spine Hospital is featured on this list because of the national recognition the hospital has received from several reputable sources and because the physicians and clinicians at Nebraska Spine Hospital are skilled at providing the highest level of surgical spine care. 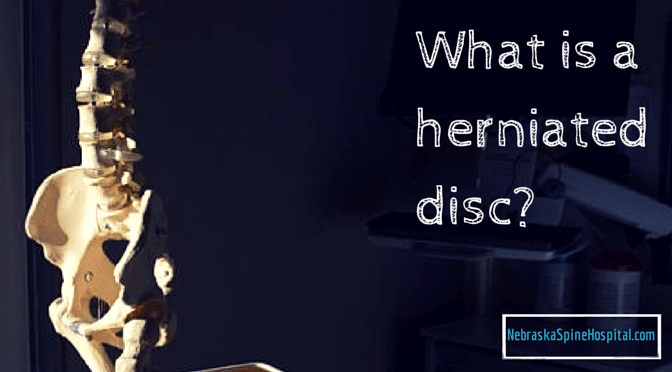 A disc herniates when the outer portion of the disc ruptures and some of the softer disc nucleus material squeezes out. When a herniated disc is bulging out of position it can push on spinal nerves and cause severe, shooting pain, numbness and/or weakness. Nebraska Spine Hospital is proud to have the only O-arm system in Nebraska dedicated only to spine. The O-arm imaging system provides real-time, three dimensional surgical imaging with a level of detail that ensures precision hardware placement, resulting in reduced time in surgery and better patient outcomes. Take look at these videos where Dr.
Nebraska Spine Hospital’s very own Dr. Eric Phillips has issued the Ice Bucket Challenge to his partners to raise awareness and funds for ALS. Dr. Phillips is committed to raising awareness and funds to defeat ALS because he wants to honor the memory his brother who died of the disease. The next video in our series features Dr. Eric Phillips, a board certified and fellowship trained orthopaedic spine surgeon. Take a look at the video to learn how his training as an engineer inspires his surgical practice and his unique views on a conservative approach to treating back pain. Find a doctor with Dr.